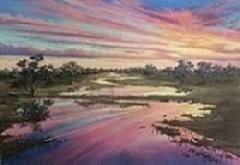 The Back O’ Bourke Gallery is situated on the banks of the Darling River at North Bourke, 5km north of the legendary Australian town of Bourke in outback NSW. 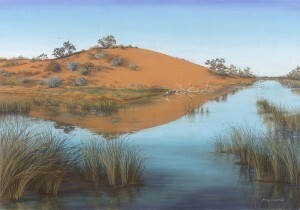 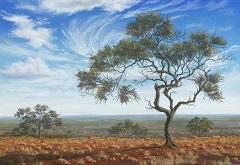 North Bourke is a developing outback tourist village and this beautifully presented gallery houses the studio of one of Australia’s foremost established outback artists, Jenny Greentree. 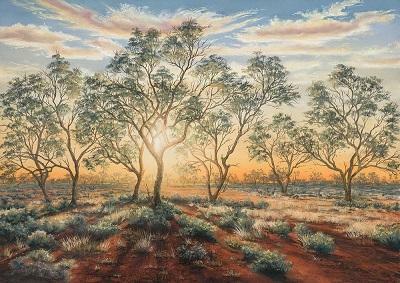 Jen’s art is inspired by the rich Australian outback scenery and together with her husband Steve they have developed a gallery that never ceases to impress the many visitors that pass through its doors. 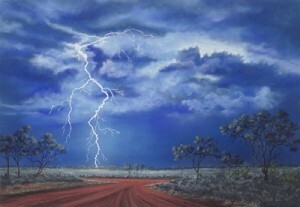 This working commercial gallery is a must see gallery on the ‘Outback art gallery loop’ from Lightning Ridge to Broken Hill and original works and reproductions have found homes around Australia and overseas.